Famous worldwide for its sparkling white coral beaches, hidden islands escapes, tropical forests, worldclass resorts and a choice of activities to spoil you, the Fiji islands also offer a high standard of affordable accommodation. English is widely spoken, traffic drives on the left, and with a sunny climate and the proud, warm and friendly Fijian people to welcome them, British and Irish holiday makers will find themselves at home. No visa is required for the British passport holders, and the complete journey from the UK takes an average of 24 hrs. Yes, it is a long journey, but it's definitely worth it: at the end of it, happiness awaits you. Before talking about the fabulous Fiji islands, please let me introduce you to the Fiji's very own top asset: its glorious, wonderful people. The Fijians are a noble people extremely proud of their culture, history and traditions, so when they welcome tourists to their beautiful country they do so with the warmest of smiles, as guests are sacred in their culture. Their traditional salute, bula, literally means "life", and is used to wish happiness and good health. 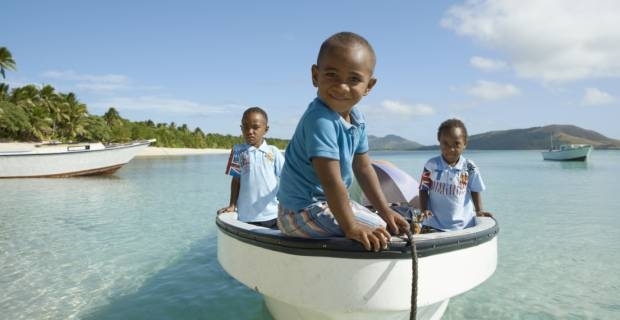 You may, if you wish, answer back with a joyous smile and a Bula vinaka! Tourists here are greeted with traditional music, dance and the national cerimonial drink kava. There's no better way to shake the journey off your shoulders and start you off on the ultimate South Pacific experience. 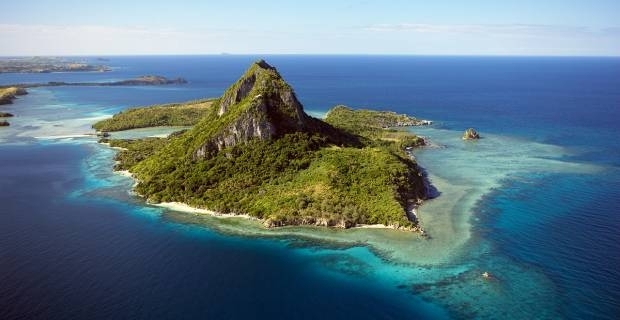 The island nation of Fiji consists of 333 volcanic islands in the South Pacific ocean, only some of which are inhabited. Of the 850.000 strong population, around 80% live in the two main islands of Viti Levu and the smaller Vanua Levu. The International Airport of Nadi and the capital Suva are both located on Viti Levu. Here the cities are bustling, jam packed with people, retail outlets and exquisite dining. But this is only the beginning.